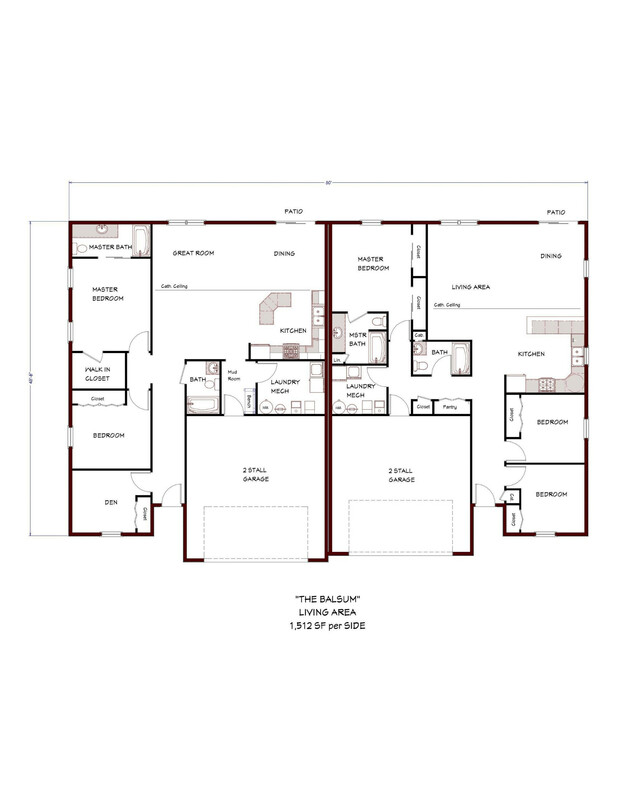 Twin Homes can be built only on Lots 1&2, 7&8 and 9&10 on Block 1. Purchase- If you are looking to move in soon, we have one Twin Home that is for sale! Click here for details. 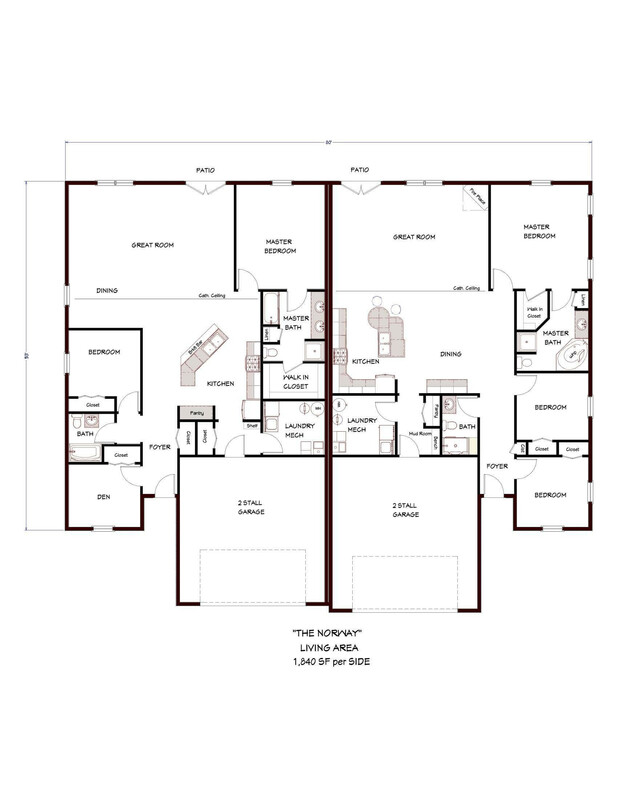 Select a Lot - From the site plan below, choose an available lot. All the lots have extended backyards into wooded areas, open space or existing wetlands. 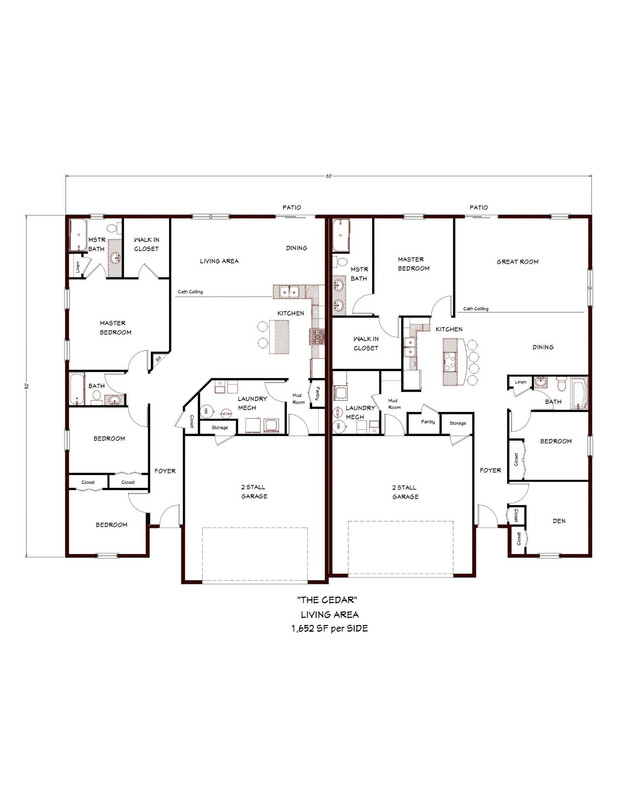 Select a Floor Plan starting with the 2 base models and an upgrade model** as shown below. A Mesabi Pines Representative will assist you in this process. This includes a set of blueprints and any budget revisions. Upon securing financing and weather, your home will be completed within 90 days for a pre-final inspection to ensure all quality standards are met. Select your own contractor to build your dream home. This is an excellent location to build your home with lots of possibilities and memories that are waiting to happen! please click below to contact a Mesabi Representative. If you are having a Mesabi Pines Representative assist you in building your Twin Home, please click below to view what your Features & Upgrades options are.